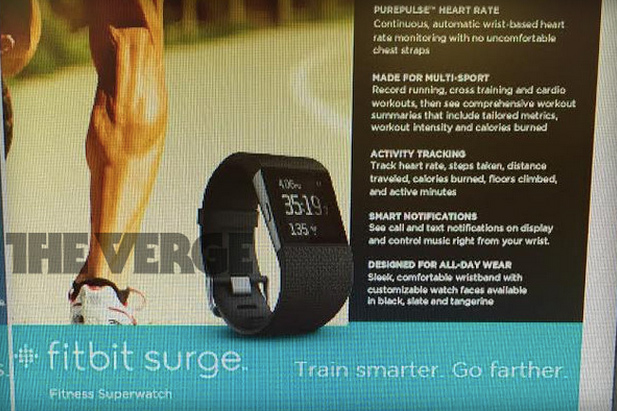 Fitbit are certainly not ‘newbs’ when it comes to wearable technology and, specifically, fitness trackers. And, you know, most fitness trackers can download a watch app if you are so inclined, however the company hasn’t formally unveiled a smartwatch proper. Well, guess what? According to venerable tech publication The Verge, the company is about to launch a bona-fide smartwatch. It may actually be more than that however, being as how they are referring to it as a ‘superwatch.’ Wait a minute, will this thing be able to leap tall buildings in a single bound and all of that other cool superhero stuff? Well, probably not. It will be able to do some cool stuff though. 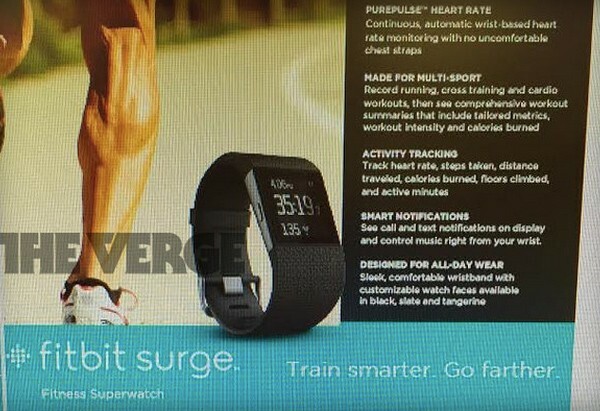 This superwatch, which the company has named Surge, will feature all kinds of fitness-related goodies, including GPS functionality and and a heart-rate monitor. Also of note, this watch does not need a smartphone in order to access this stuff, which will be a boon to fitness enthusiasts as, you know, phones weigh you down and stuff. Although, if phones are your bag, it can connect with them, allowing you to access phones, texts and all the rest. It’s nice, however, that you don’t need it. According to The Verge, it’ll also launch in three colors – Black, slate and tangerine. One question remains. Will this ‘superwatch’ come with a ‘super’ price? Not especially. Reports indicate that it will cost just $249, which is a full hundred bucks cheaper than Apple’s forthcoming model, which is just called Watch and not Superwatch. Being as how marketing materials have already leaked, it should only be a few weeks before we can wrap these around our ‘super’ wrists.